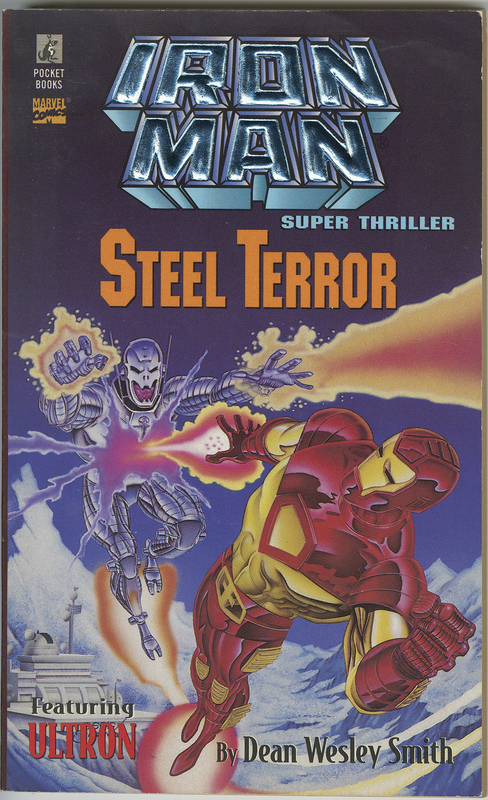 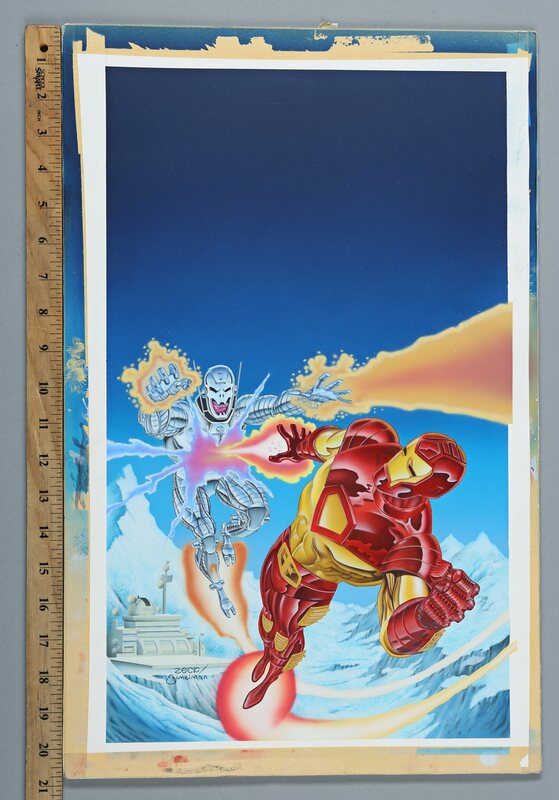 Hand-painted cover artwork by Mike Zeck and Phil Zimelman featuring Iron Man and Ultron facing off for the Iron Man Super Thriller: Steel Terror novel by Dean Wesley Smith. 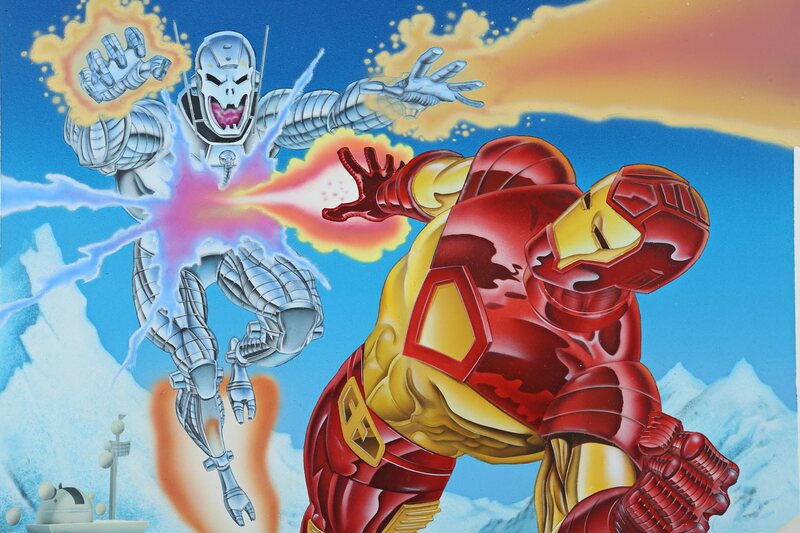 The book cover artwork shows Iron Man engaging in a battle with Ultron over a snowy landscape. 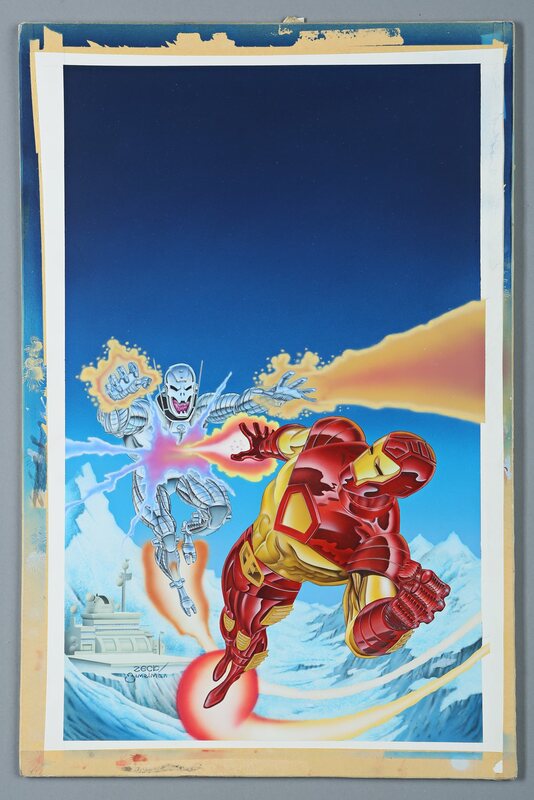 Mike Zeck originally pencilled the artwork for this cover on a separate board and then re-pencilled the image on a larger sheet of illustration paper so that it could be painted in full colour by Phil Zimelman. 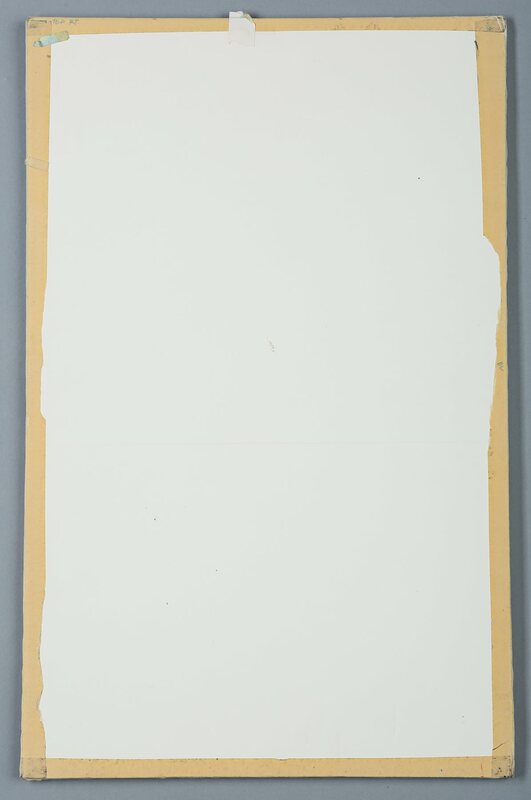 This painted illustration paper has been mounted on a sheet of foamcore board. 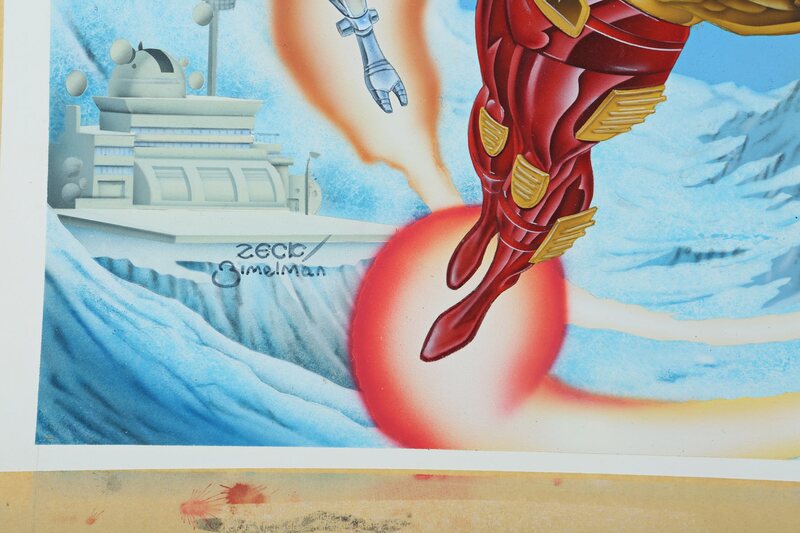 Zeck and Zimelman’s signatures appear below the snowy mountain facility.